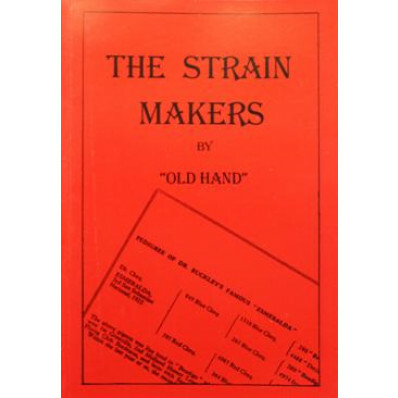 The Strain Makers by "Old Hand"
This explanatory guide to breeding racing pigeons informs the reader how to breed a family of winners and how to keep their blood ascendant, year after year. With hints and tips on how to become a strain maker and various breeding strategies, this is a must have for anyone who wishes to breed pigeons successfully – a must have for beginners as well as those with a bit more experience. Topics covered include: Male and Female Strains – The Problems of Inbreeding – Starting a Strain – The Male Strain – The Mysterious ‘Nicking Factor’ – The Producer Hen – Classic Pedigree Breeding – Perfection of the Egg – The Female Line – The Art of Selection – Eyesign and Breeding – Time for a Cross – How Many Champions? Also contains illustrative Pedigree Plans.